Stars in Hand, 9780692909591, 416pp. "Never failing to entertain, Lockheed Elite establishes characters who could recur in a series that would find a loyal audience. 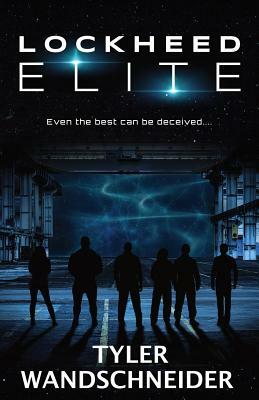 ...Lockheed Elite stands out as a captivating, well-plotted science fiction novel that's loaded with action and intrigue. It's a rollicking sci-fi tale with twists and turns one does not always see coming." "Tyler Wandschneider's Lockheed Elite is a thoroughly enjoyable sci-fi crime adventure akin to an episode of Firefly than anything else." After Anders Lockheed unwittingly hires an undercover operative, he takes the bait that draws the attention of the very mastermind he's been avoiding. Now Anders must flip the military and use them to pull off a monster heist to extract his crew from the heat mounting from both sides of the law.